In the beginning years of trucking, men played the dominant role in handling, and transporting goods from town to town, then it steadily grew, as transportation technology of the time made it possible to move goods throughout the state, and eventually across state lines, and borders. Making it possible to take most of the pressure off the railway system and make it possible for freight to move much faster. The men who were responsible for these efforts were seldom recognized. Then, come the time of 2 world wars, most notably, WWII, women started taking over these, and many other jobs, in response to the need of those men in combat situations all over the world. These women took on many rolls, from being the nurses that cared for wounded soldiers, to also working not just as housewives, and mothers, but building the machines of war, and driving the trucks to make sure that the goods the country needed were still being shipped as quickly as possible, so that the countries economy would continue. 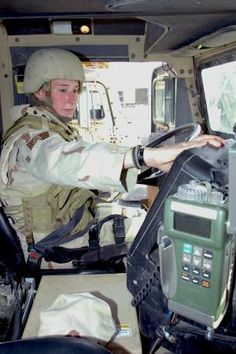 They have not only operated the big trucks of the day, and today, but they have also operated military equipment in war zones and high threat environments. 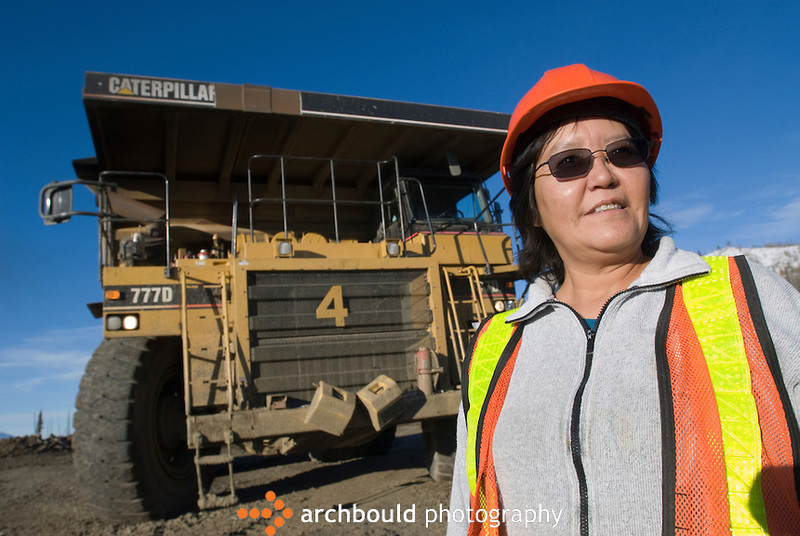 And heavy equipment, such as the giant dump-trucks and graders used an many mining sites in North America. Some of these dump-trucks require up to a three story climb, just to get to the cab of the unit, and require a great deal of concentration and skill to operate. Many of these women are seldom recognized for their efforts, except for within specific circles, mainly within the confines of where they work. Which, for many, is just fine. And many of these women have been in the industry for the majority of their lifetime, bringing great strides to how the industry operates and functions with the women of today. Within the last few years, Overdrive magazine began a program to recognize the female driver, but it came with a twist, albeit with a bit of controversy, based on the comments about women by someone within Overdrives ranks. There are those women within the industry that feel that the name of the “contest” (Overdrive’s Most Beautiful, where image meets the road) raises the hackles of some, in that with the pictures of these women, it tends to lay aside the abilities, sacrifices, and efforts of those women, and focuses on the appearance of the woman instead, virtually due to the use of the pictures of those women. Thereby leaving most men looking at just the picture, and not reading the information about each person they are deciding to “vote” on. 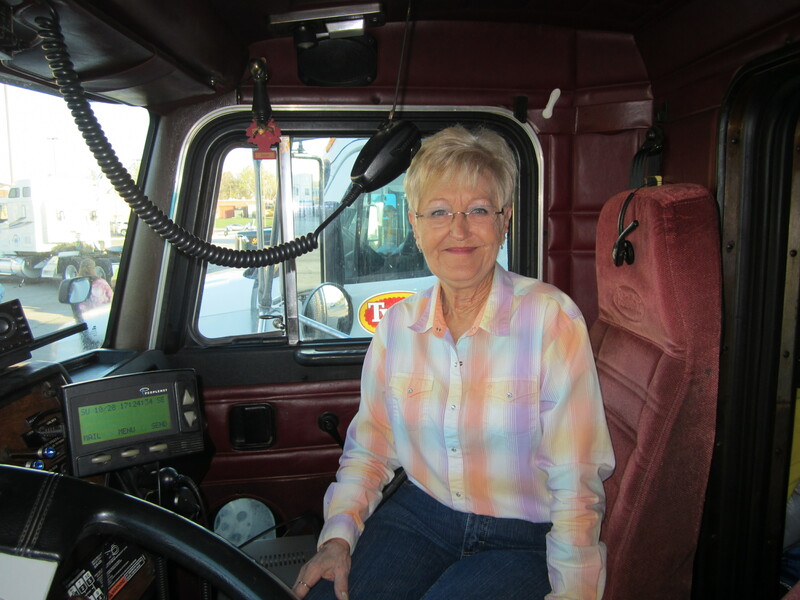 The woman truck driver today holds a strong percentage of those in the trucking industry today, and should be recognized for their achievements, as such. So, why not change the name of the contest to something like, “Lady Trucker of the Year”? Then, instead of posting a picture of each nominee, put up their name, and their bio, explaining what brought them into the trucking industry, and the life’s processes that they went through to get, and remain there, along with the sacrifices, efforts, and dedication that they put to the task to get where they are today? Could it be so hard to make that change, and therefore have the magazine gain a bit more respect among female drivers, and those who employ and support them? I don’t think it would be that difficult, how about you? Then, after the voting results have been tabulated, and the final choice made, then, post the article, along with a picture of the woman chosen. How bout it, Overdrive, would you be willing to go for this type of respectable change, or…. ?